Ricky Quintana previews all the individual and team match ups in class 4A. 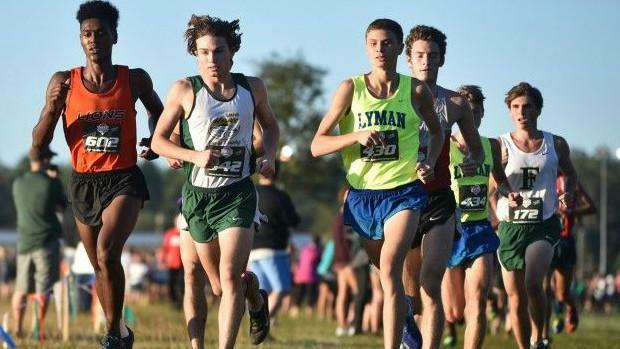 Winter Park scored an impressive 30 point win over #2 ranked Winter Springs at the Region 1 meet. Rafaella Gibbons' leads them at the front and they can rely on good second and third runners in Emma Noel and Melanie White. This could give them a big edge in the 4A field which has a slew of runners between the 19-20 minute range. 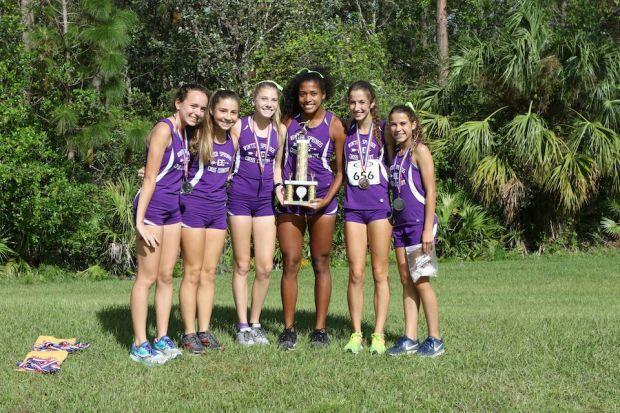 Last year 32 runners crossed in this time frame giving Streinbrenner the point difference they needed to knock off favored Winter Park. Newsome could very well use the same blue print for their first victory in school history. 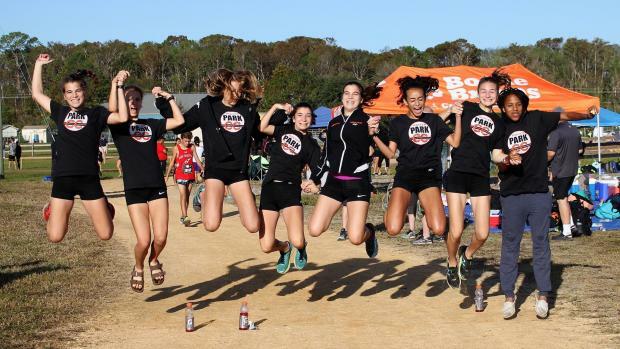 Bailey Hertenstein, Keleigh Scallon and Emma Solis could score a three runner low, but they'll need to back up those three with good performances from either Isabelle Guevera, Julianna Tragakis or Hannah Hoffman to make a legitimate run at the title. And then there is Winter Springs. Currently ranked second, they too have a strong three in Mackenzie Czurak, Elayna Bahr, and Susan Doyle. They will need strong performances from Kiley Vanness or Paige Birchard to be in the mix for their first title in school history. Bailey Hertenstein's high school record has been amazing. 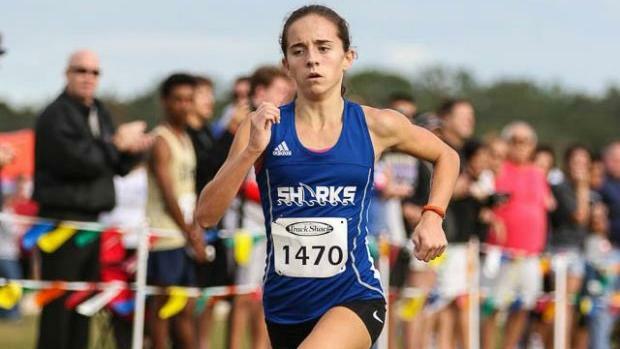 She's won two cross country titles, two 1600m titles, one 3200m title and made it to Foot Locker nationals last year. She owns the ARP and Holloway Park course records and is on track to win her third consecutive state championship. 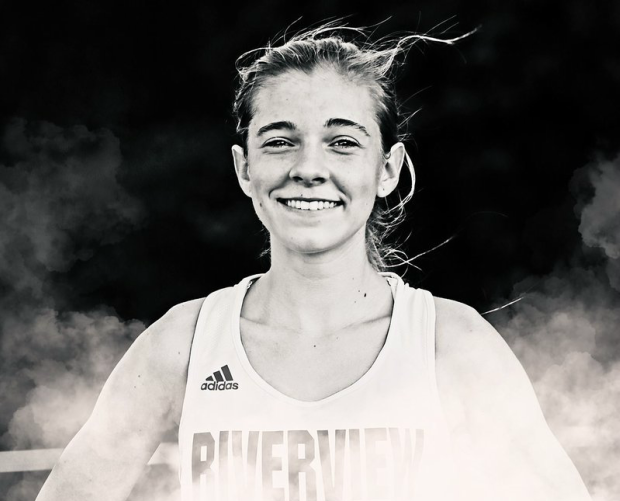 She has run with confidence in her last few championships not letting a fall in the 1600m her junior year or a hair tie come loose at last year's state cross country championship distract her from winning a championship. She has two signature wins over former teammate Alyssa Hendrix of Riverview and took 23 seconds off her Holloway course record in one month. She could lower her course record again on Saturday. 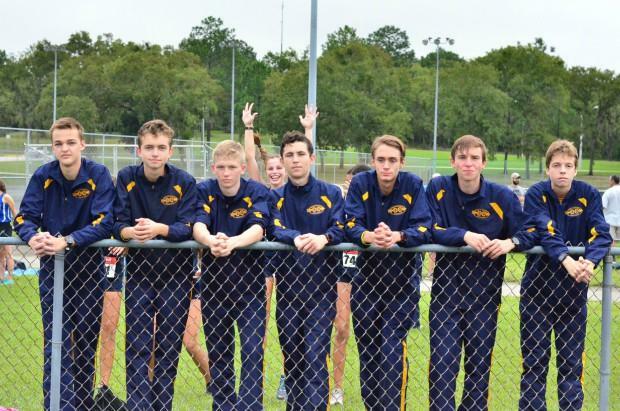 Alyssa Hendrix did the unthinkable at the Hillsborough County Cross Country Championships- she beat a under the weather Hertenstein. She has not been able to duplicate the feat, but has been competitive in finishing second to Hertenstein at Districts and Regions. She'll again need to be at her best to sneak past Hertenstein, but it will take a monumental effort to shake free of the two time state champion. On paper, Oviedo is the favorite to win their first title in school history. However, if the Region 2 Championships are any indication, they are vulnerable. 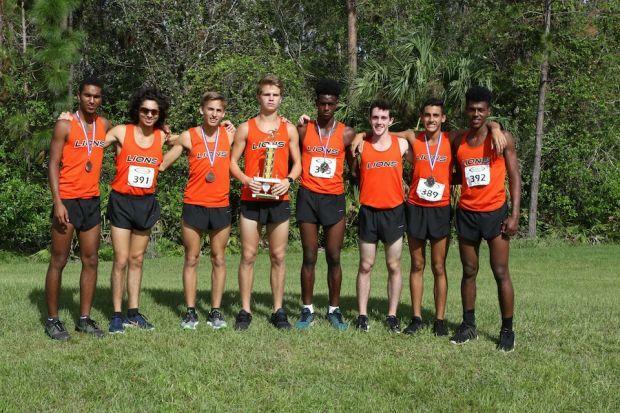 Mamush Galloway and Jaedin Doddapaneni had slower than their season best times and will need to be at or near their best times for Oviedo to win the title over deep George Steinbrenner and Newsome teams . 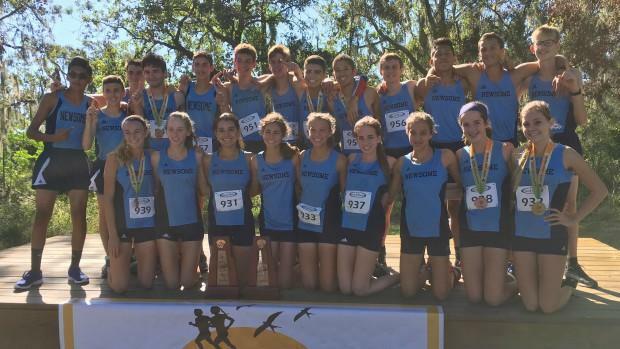 Newsome edged George Steinbrenner by getting their top three of Alexander Bugielski, Christopher Pinedo and Dominic Acosta ahead of the Warriors' pack. But maybe that was an intentional ploy by the Warriors. They'll be aiming for their first title in school history and with such depth, they could afford to rest for this Saturday's state meet. If either Newsome or George Steinbrenner wins, it will be the first titles in school history. In fact, of the 11 top 11 ranked teams, none have won a state team title. Last year, Matt Doyle rebounded from a 3rd place finish in the "Region of Death" to surprise the field and favorites Tim Doyle and Bryce Bell. This year's race is a wide open as last year as any one of 6 runners could win. Oviedo's Kayamo Galloway won the "Region of Death" this year beating out top ten ranked Lake Minneola's Noah Quintana, Lyman's Bryce Bell and Kyler Hodges, Freedom's Timothy Doyle and Dr. Phillips Luis Ortiz-Otero. That took care of the favorites in the northern part of Florida, but what about the south? Forest Hill's Isaias De La Puente won his region and is the top returner from last year when he finished a surprising second place in a time of 15:59.36. In the 3200m at the state track meet, he romped to victory only to learn that he was disqualified afterwards. That could be the incentive he needs for this year's race. 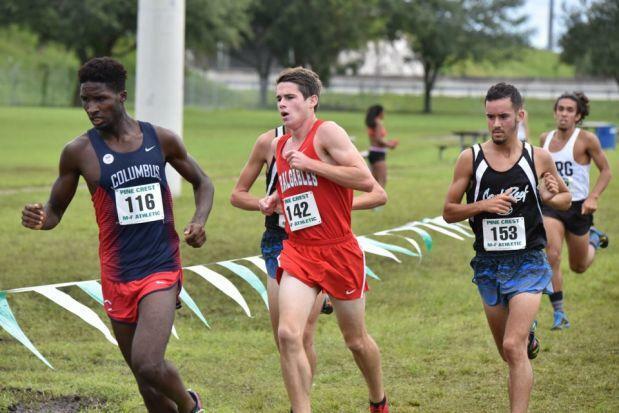 St. Thomas' Nicholas Rischar finished third last year and finished four seconds behind winner Deshay Fernandes of Columbus at the Region 4 meet. These two could be competitive in this tightly bunched field of favorites. 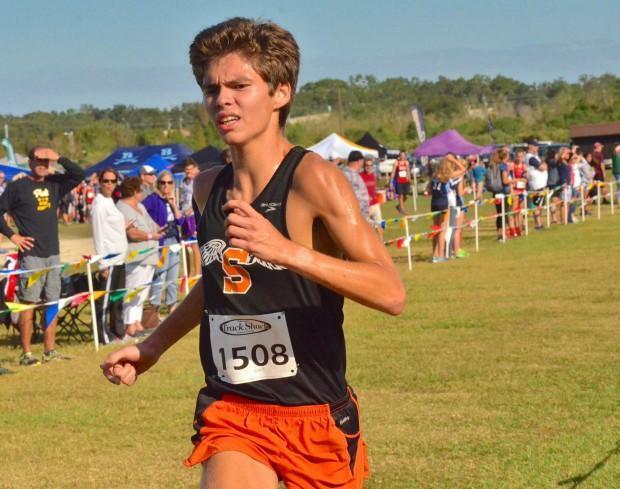 Sarasota's Benjamin Hartvigsen is another strong favorite as he posted a 15:37 at the FSU Pre-State Invitational which is the fastest time by any of the 4A runners in the field. Couple that with a solid second place at flrunners.com 18 race and he's got the makings of third state champion in school history.